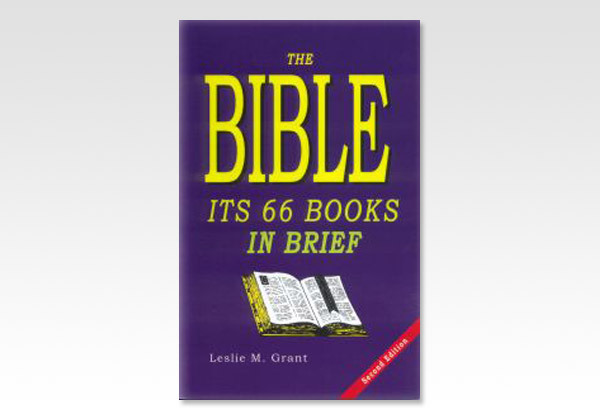 In this book, brother Leslie Grant briefly gives the spiritual highlights of each book of the Bible, including some interesting facts. You will find these outlines of God's inspired books helpful in gaining insight both into the Bible as a whole and its individual books. It is our prayer that the Holy Spirit will use these outlines to stimulate you to a fuller and deeper study of God's Holy Word. Leslie M. Grant lives in the Seattle, Washington (USA) area and has served the Lord in full time service for over 65 years. He has written a number of books available through Believers Bookshelf, Inc.